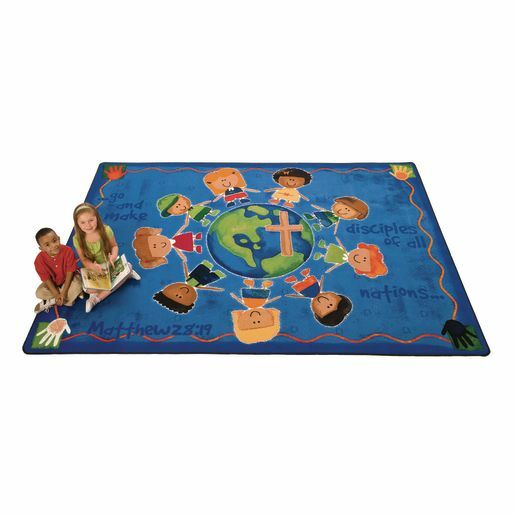 Great Commission 7'8" x 10'10"
This charming rug is certain to inspire the sharing of Matthew's gospel 28:19 with others. Bright colors and smiling children's faces make this carpet a fantastic addition to any room for little ones. 7'8" x 10'10".